Infinity Global offers its clients a one-stop solution for luxury and specialty goods packaging, spanning design, manufacturing, inventory planning and logistics. In 2005 Infinity Global were approached by the world’s leading luxury brand in leather goods and fashion accessories and asked to develop an online ordering system for their diverse packaging range. The system needed to be robust and provide immediate management information to the team responsible for non-merchandise logistics. As a growing company, they required a solution that gave them the flexibility to easily add functionality in stages. 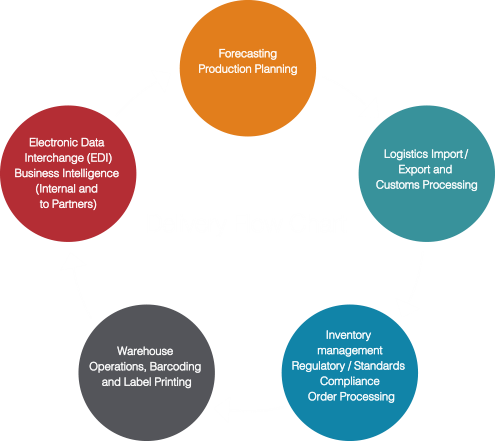 Stage one of IGIS was developed in just 6-weeks, and provided Infinity Global with a product database and web based ordering platform that supported direct ordering by retail stores as well as replenishment orders to distribution centers and third-party logistics providers. The flexibility of Aware’s solutions allows new features to be easily added as required. This meant that when Infinity Global’s client needed cartons and pallets to be individually barcoded and tracked, Aware was able to seamlessly integrate the IGIS back-end with the clients’ supplier portal. Representing Infinity Global, and working directly on-site with manufacturers in Vietnam and India, Aware delivered a web-based barcoding application that allows manufacturers to print serialized barcodes, upload the shipment details and immediately supply an accurate Shipping Notification (ASN). Aware and Infinity Global were able to meet the exceptionally short timeframe and deliver on their commitment to provide the one of the world’s leading luxury brands a robust and comprehensive online ordering system. This laid the foundation for an increasingly intimate partnership that currently spans 10 years, and counting. Aware has been able to grow its services and systems alongside Infintiy Global's rapid business growth. IG has expanded to running a truly global supply chain with multiple logistics partners, regularly adding new clients in luxury retail. IG is currently running global operations with a very low head-count in internal systems support by utilizing Aware as an extension of their IT department. This has worked well to support a very customer-centric business model where virtually any customer request that affects business operations is quickly and affordably translated in software to support that operation. 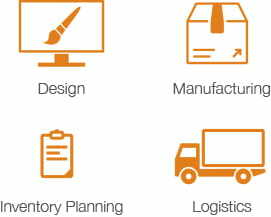 From strategy, to architecture and development, through to testing, hosting and on-going managed services, Aware maintains Infinity Global’s complete supply chain management system, allowing them to deliver world-class luxury and specialty goods packaging services faster than anyone else in the market.